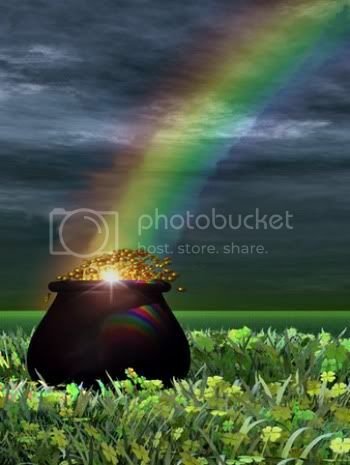 The pot of gold at the end of the rainbow is a symbol that appears every year at this time. To me, it has always indicated not just a reward, but also the journey to get there. Think of this set then as a journey toward Irish music. The Celtic people of Ireland had a journey of their own before they landed in Ireland. For many, famine and religious and political strife have meant that the journey did not end there, and so it is that the Irish people, as well as their music and traditions, are to be found in the United States and Australia, among other places. Wherever the Irish have gone, their music has influenced and inspired those around them. So it is that most of the music in this post is by artists who have never lived in Ireland, and many have no Irish blood either. 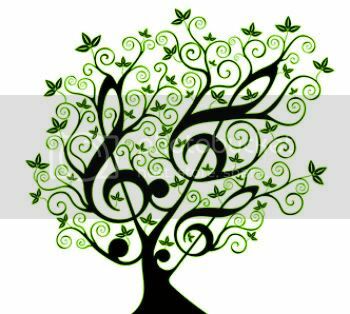 But the ancestry of the music is indisputable. West of Eden is a Swedish band. The Nordic folk music that I have heard has some resemblance to Celtic music, although I’m sure a connoisseur of either genre would be horrified to hear me say so. But the Celts did pass through this part of the world before landing in the British Isles. 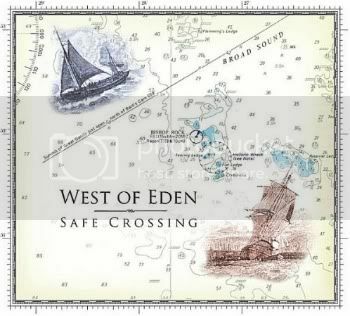 Safe Crossing is a collection of sea songs, and it is inspired work throughout. Only On She Goes really has that Celtic lilt, but the entire album has one wonderful example of folk-based sea song after another. The album was inspired by John Fowles’ book Shipwreck, and it has led the band to their finest work yet. On She Goes is an original song, and, even though I am a man, the lyric makes me smile. Having never met Jenny Shaub, I am confident of my ability to stay out of the junkyard of her memory. 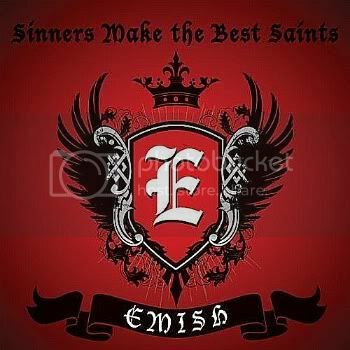 Emish hails from New York State. They work the same British Isles folk-rock territory that was pioneered by Fairport Convention, but Emish does it with a strong Irish accent, and with a punchy rock edge that seems to come more easily to Americans than to the British. Their songs are sometimes more on the acoustic side, and sometimes all out rockers. South Australia is a traditional tune, and Emish finds that sweet spot right in the middle stylistically. The song also shows off the wonderful vocal harmonies that are an important and beautiful part of their sound. And then there are those artists who seek to master the traditional forms, even though the are not “native speakers”, as it were. 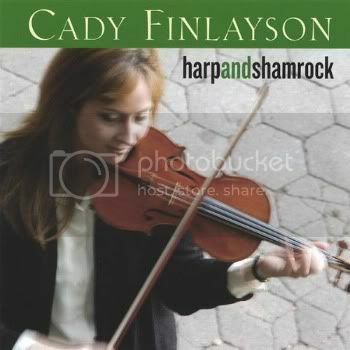 Cady Finlayson has more recently taken her grounding in Irish folk in some pretty wild directions. But Harp and Shamrock is a set from 2004, and here Finlayson is still doing her apprenticeship. Finlayson is a fiddler from New York City, but she has both traveled extensively in Ireland, and sought out the best Irish players she could find in the United States. The results show that she chose the right musical path. Finlayson navigates the speedy runs of the jigs and reels in this set beautifully and expressively. But she really shines on slow airs like Ms Biilye’s Waltz. Here, her fiddle has an almost human voice, and her “singing” is as emotionally rewarding as any human voice could be. No words are needed. Joe Ross is usually a bluegrass musician, and a fine one. But he can step out and play Celtic music, or jazz-influenced folk. I’m not sure what else he’s capable of, but I will let you know when I find out. Ross has made exactly one album of Celtic music, with harper Janet Naylor. Ross himself wrote about this earlier this week on Star Maker Machine. Naylor only made this one album, as far as I can tell, in 1998. The musical territory here is quite similar to what Cady Finlayson is working with, but the results are quite different. 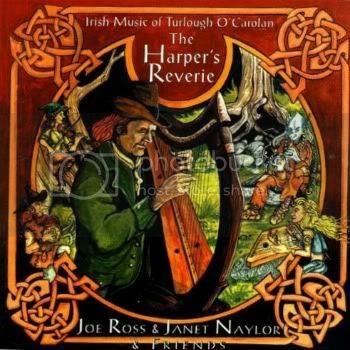 The songs on The Harper’s Reverie are presented as chamber music. The instrument that sounds so unusual on Planxty Irwin/ Sheebeg Sheemore is a bassoon. The music is well played, to be sure, but what this approach really emphasizes is the beauty of the compositions. I doubt that Turlough O’Carolan ever imagined these arrangements of his music, but I think he would have approved. And now we arrive in Ireland at last. Ireland is known, among other things, for its seemingly inexhaustible supply of amazing folk sopranos. That said, Mairead Ni Mhaonaigh is certainly one of the best. 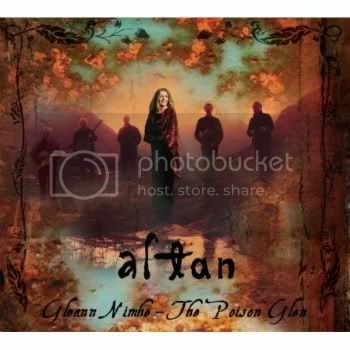 The Poison Glen, Altan’s new album, is a mix of instrumental pieces and songs. This is the traditional way of making an album of Irish music. The instrumentals here are very fine, but I live for the songs. Most are in Gaelic, but Ni Mhaonaigh’s voice communicates clearly in any language. Altan has been part of the Irish music scene for many years. Some groups have changed their sound, adding a wash of synthesizers, and creating sonic wall paper, while giving Irish music a bad name. The Poison Glen is not strictly traditional, but this music far more grounded in tradition than some of its more flighty cousins. Altan adds wonderful vocal harmonies. The full instrumentation is not listed, but if any electronics are used, they are applied with great subtlety. The songs and instrumentals are a mix of traditional and newer material. The fact that some of the new songs were composed in Gaelic tells you all you need to know about Altan’s desire to keep a connection to tradition while moving that tradition forward. Spirituality as often at its best when it happens by accident. Think about the zealotry of people who find religion as adults compared to the attitude of those who are born to it. I use a broad definition of spirituality, not confined at all to religious belief, but I find that this idea still holds true. So I was happy that this post happened by accident. I originally set out to do a post of hot new releases, but, as I began to choose songs, I noticed a theme developing. The songs were expressing deep emotions, sometimes triggered by a confluence of events. I had a theme on my hands, and two of the albums I had chosen at first fell away, to be replaced by two older albums. The selection of songs brought into focus for me what I mean by spirituality. Let me show you what I mean. Carrie Newcomer has incorporated spiritual themes, in the way most people use the term, into her songwriting for some time now. She has the gift of being able to frankly discuss this without ever getting preachy. 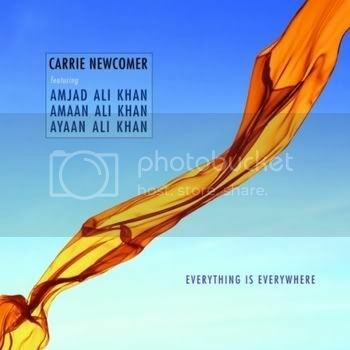 These spiritual themes are even more in the foreground than usual on Newcomer’s new album, Everything is Everywhere. The album is the result of a trip to India Newcomer was able to make, and the chance to work with Indian musicians has made the music sound richer. Given all of this, I Believe, despite the title, might not be the most obvious choice. The song is largely a list of things in the mundane world. For me, that is exactly the point. The song is a wonderful expression of thankfulness for the every day miracles we all too easily overlook, and it is also a beautiful statement of humility in the face of this. 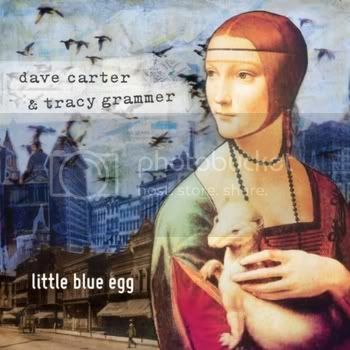 Yes, there is a new album by Dave Carter and Tracy Grammer, and a very fine one. Carter passed on in 2002, but he was a prolific songwriter, and he left behind many songs that had never seen the light of day in his lifetime. In this case, Tracy Grammer discovered some recordings they had made together that she had thought were lost. Carter was the songwriter for the pair, and one of the best. He alternated between spiritual and earthly themes in his writing. Carter’s spirituality was not tethered to any specific religion, which freed him to write lines like “Rock me Goddess in the gentle arms of Eden”. Nor were his beliefs in any way a hodgepodge; rather, he found common ground in a wide variety of spiritual traditions, and he expressed that beautifully in his writing. Till We Have Faces is one of his finest songs of this sort. The song could be a mysterious telling of earthly love, or it could be a description of a ritual binding of body and spirit. It’s probably both. It’s the kind of song that prompts the listener to explore their own spirituality, which is exactly what the best writing of this sort should do. Grammer’s vocals and fiddle work here are also just beautiful. The background vocals are by Claire Bard, who I need to learn more about. 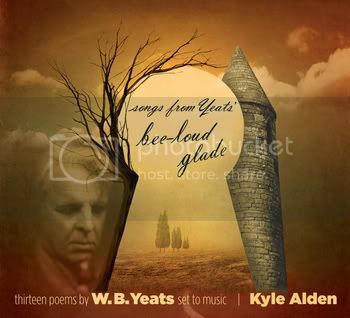 Kyle Alden found his spirit moved by the works of another artist in another time: William Butler Yeats. On a trip to Ireland, Alden visited sites associated with Yeats, and Alden decided to revisit Yeats’ poetry when he got home. Alden says that the music to The Cap and Bells wrote itself, and the rest of the songs here quickly followed. Yeats expressed a spirituality that was very much tied to the physical world. Nature and the lore of specific places were important to him. If you believe that magic can be tied to specific places, Alden appears to have absorbed some of that magic. His musical settings are not Irish music, but they more than do justice to their inspirations. 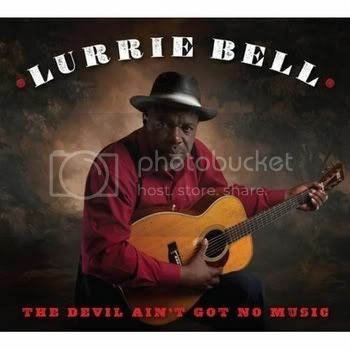 In making connections to spirituality as most people think of it, Lurrie Bell’s rendition of Peace in the Valley would appear to be the easiest fit. The song is, after all, a gospel standard, so what more is there to say? Quite a bit, it turns out. Bell grew up in the American south at a time when musicians had a stark choice to make between playing the blues or gospel. Blues was viewed as the Devil’s music, and this was taken quite seriously. Bell, of course, moved to Chicago, and made a name for himself as one of the best blues artists in a blues town. His blues often features his electric guitar and a good-sized band. But, before Bell left the south, he played gospel. The Devil Ain’t Got No Music is a statement by a man who is beginning to feel his own mortality, an affirmation of faith and a testimony. Stylistically, Bell can not keep the blues out of his gospel music, but the arrangements are stripped down, and the playing is mostly acoustic, although with a sharp edge. This is the sound of a man baring his soul, and Peace in the Valley is a fine example of the music’s power. Most people would probably talk about their spirituality in terms of their inner life, and we have seen some fine examples of that. 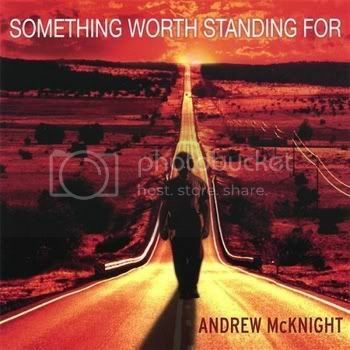 But for Andrew McKnight in 2007, his spirituality was all about how he related to the world outside. His political views are informed by his conscience and beliefs, which makes the political songs on Something Worth Standing For some of the best I have heard. Bridges goes deeper, and explains the trigger for all of this. The song was inspired by the birth of McKnight’s first child, and, in it, he meditates on the sort of world this child will grow up in. Surely, his determination to make that world the best place he can for that child is as much a spiritual statement as anything we have heard here. What is pop music? At different times, it has been Madonna, The Lovin’ Spoonful, and The Clovers, just to name a few. These artists could not sound more different from each other, but each is or was pop. Pop music then is a menu of musical memories and reference points. Listen to Madonna’s Borderland, or a song inspired by it, and you might recall how you felt when you first heard it. That gives songwriters an opening. 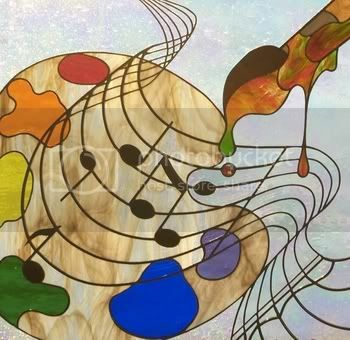 The ability to invoke these feelings with a musical feel can enhance what they do. The key, often, is to avoid the excesses of the form you are invoking, but still recall that form, and perhaps comment on it. Here are five artists sampling from different parts of the menu, to great effect. Tyler Fortier sometimes makes albums that are almost folk, with not much more than his voice and acoustic guitar. But Fear of the Unknown as a whole is what happens the rest of the time. The band on this album is large, and the music mostly rocks. Fortier uses horns, strings, and some other instruments not often heard in rock to create rich textures that suit the songs well. And then there is the song I have chosen. Might as Well Get Saved represents the middle ground between the two extremes of Fortier’s approach to making music. The song is a ballad, and Fortier sets the song for voice and acoustic guitar. But there is a piano line that weaves around the guitar part, and strengthens it. Fortier’s vocal is almost doubled by a background singer doing a close harmony line. And the whole thing rests on a cushion of organ and trumpet. The result is a work of subtle beauty. The lyric tells the tale of an itinerate preacher who warns all who will listen of the end times. The words don’t tell us entirely what to make of him, but the musical setting conveys sympathy. Fortier does not ask us to agree with this man’s theology, but he wants us to feel the loneliness of his self-appointed mission. The combination of words and musical setting convey that beautifully. New Mexico is almost the negative example of my thesis here. Parks makes this one work by what he leaves out. The lyric could be pure country, and in fact, someone like George Strait could probably have a massive hit with it. Parks tells the story of a woman in North Carolina who feels that she must leave her life and a lover behind, and restart her life in New Mexico. A country version of this would drench the song in pedal steel and strings. But Parks strips the song down, with a spare arrangement for drums, bass, and guitar, with some subtle lap steel that is mostly atmospheric. The arrangement features lots of space that must go unfilled, as the lyric tells us. The emotion of the piece is that much stronger because of its sparseness, and that is emphasized because of what we expect a song like this to sound like. Parks takes a subject that could have been a cliché, and makes it true. 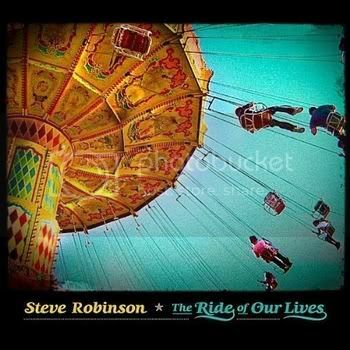 Steve Robinson goes in the opposite direction, to wonderful effect. Riddles begins with just Robinson’s fine tenor and acoustic guitar. But then the layers of sound begin to accumulate, and soon we are close to a sound like The Beatles at their psychedelic best. One can also hear the fact that Robinson worked with Roger McGuinn for some time, and there are some intimations of the best of The Moody Blues. It adds up to pure pop bliss. Robinson is no musical tourist; it is clear that this is his musical home, and I was glad to accept his invitation to visit him there. 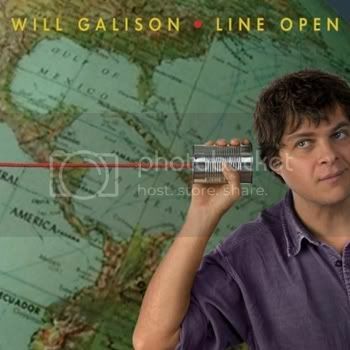 Like Steve Robinson, Will Galison has a sure touch with big arrangements. The songs here are constructed as they were in the 1950’s, but filtered through modern sensibilities. Galison creates great grooves, aches just right on the ballads, and delivers a perfect love duet with Sonya Valet on the title track. But Bobby & Sally gets everything sublimely perfect. The lyric is a quirky and delightful love story, and Galison becomes the second songwriter I know of, after John Hiatt, to use the word amoeba in a song and do it well. The whole thing rides on a vaguely Latin groove, and Galison’s emotive tenor caps it all off. I can’t sit still to this one, and I find it hard to resist singing along. Repeated listens have done nothing to dim my enthusiasm. Cheaper gathers itself out of chaos, and settles into a stabbing groove. The lyric is enigmatic. The song could be a metaphorical expression of the dangers of love, but there are also lines that could be taken as drug references. What comes through clearly is the combined sense of excitement and danger. 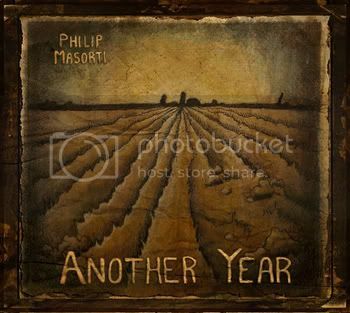 Musically, it’s easy to hear this one as hard rock, but Phillip Masorti does something far more interesting. The groove comes from drums played with brushes, electric bass, acoustic guitar, and mandolin. 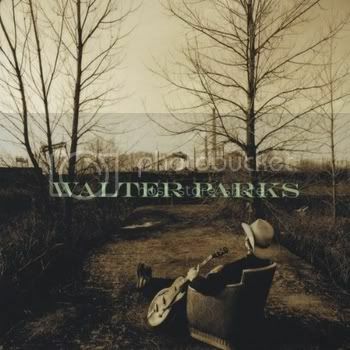 The sense of danger is heightened by a ragged fiddle part and a scarred electric guitar line. Masorti’s low baritone slinks on top of this, and the feeling is complete. There is no need to get louder; this one has all of the power it could possibly need.